Tulsa State Fair Blue Ribbons! 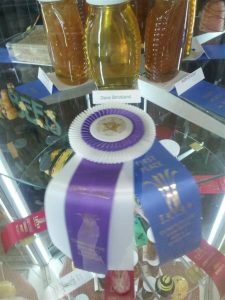 This year brought quite a few new ribbons! 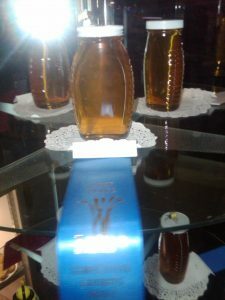 We entered in our honey in the Adult Culinary competition in the 2011 Tulsa State Fair and won 1st place blue ribbons for both the Light Honey and Amber Honey classes!